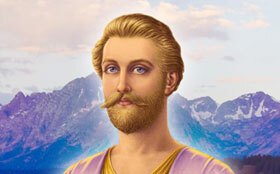 The Master Saint Germain teaches classes at the Royal Teton Retreat as well as his own physical/etheric retreat, the Cave of Symbols, in Table Mountain, Wyoming. 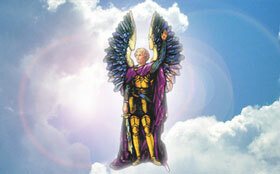 Focuses of the Great White Brotherhood are chiefly on the etheric plane where the Ascended Masters preside. Retreats anchor one or more flames of the Godhead as well as the momentum of the Masters' service and attainment for the balance of light in the four lower bodies of a planet and its evolutions. 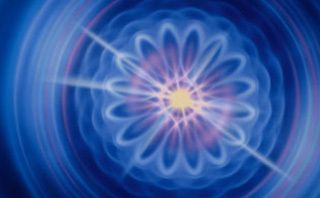 Retreats serve many functions for the councils of the hierarchy ministering to the lifewaves of earth. 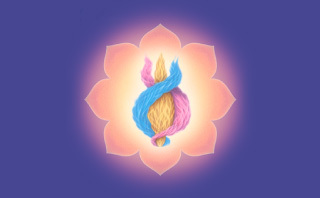 Some retreats are open to unascended mankind, whose souls may journey to these focuses in their etheric body between their incarnations on earth and in their finer bodies (during sleep or samadhi). At this dawn of the age of Aquarius, Saint Germain has gone before the Lords of Karma and received the opportunity to release the knowledge of the violet flame outside of the inner retreats of the Great White Brotherhood, outside of the mystery schools. “In some of you a hearty amount of karma has been balanced, in others hardness of heart has truly melted around the heart chakra. There has come a new love and a new softening, a new compassion, a new sensitivity to life, a new freedom and a new joy in pursuing that freedom. There has come about a holiness as you have contacted through my flame the priesthood of the Order of Melchizedek. There has come a melting and dissolving of certain momentums of ignorance and mental density and a turning toward a dietary path more conducive to your own God-mastery. The waltzes of Strauss carry the vibration of the violet flame and will help to put you in tune with him. Saint Germain has also told us that the “Rakoczy March,” by Franz Liszt, carries the flame of his heart and the formula of the violet flame. This article is an excerpt from The Masters and Their Retreats, by Mark Prophet and Elizabeth Clare Prophet.